Since many of my readers know me personally, you likely already know that I have Type 1 Diabetes (or T1D, as it’s hip to call it nowadays). You may not know that I blogged in the Diabetes Online Community (DOC) for several years. (Also, diabetics like acronyms!) After having my own blog for a short time, I started blogging for HealthCentral’s diabetes page when I was pregnant with Sienna. That arrangement lasted the better part of 6 years. It was cool to share my pregnancies, challenges, and triumphs with diabetes during that time of life. A couple years back I realized that, for me, blogging about diabetes had run it’s course. I wanted to write about other topics – hence this blog! But, I’m still a peripheral member of the DOC and follow a few blogs very faithfully, including Six Until Me – my personal favorite. Right now there’s a very cool campaign running in the DOC, one that I wanted to share with my readers (i.e. family and friends!). It’s called Spare a Rose, Save a Child and is run by an organization called Partnering for Diabetes Change. This group was founded my several members of the DOC, including Kerri from Six Until Me and another online friend, Scott Johnson. Hi Scott! 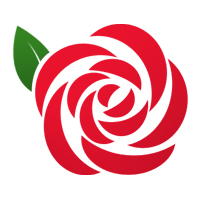 For the cost of one rose ($5) – the International Diabetes Federation is able to provide a one month supply of insulin or blood glucose monitoring supplies to a needy child. Insulin is truly lifesaving for children with diabetes. In America we complain about the cost of this necessary drug, but in many parts of the world, children are dying for lack of insulin. 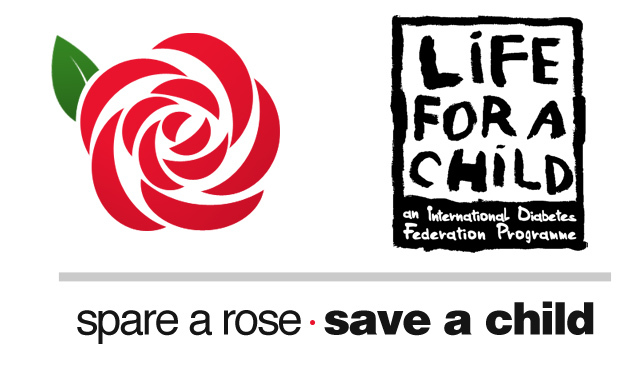 Please consider donating to Spare a Rose, Save a Child.